Alan Chenkin presents ideas on woodworking, home organization, power tools, Projects, and more. 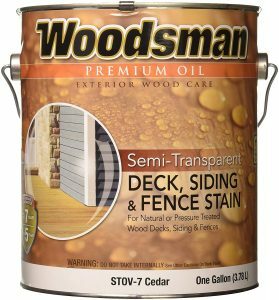 Is it ok to pressure wash cedar siding? 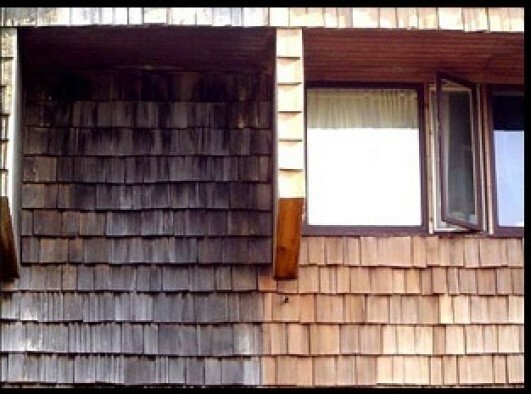 If you have severely stained Cedar siding, you can power wash it with a wide nozzle and low pressure. Cedar siding is durable but can be damaged easily by excess pressure, especially when it is aged or very dried out. You should only use a wide nozzle, because the narrow stream of a straight nozzle is capable of drilling a hole in the soft cedar. 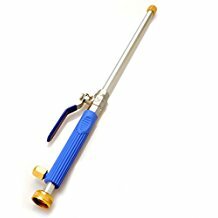 Crusar Brass Water Jet Power Washer High Pressure Hose Nozzle Pressure Sprayer for Car Washing Vehicle Washing Pet Washing Gardening Outdoor Housecleaning Window Cleaning – From Amazon, it uses 60 PSI home water pressure, not 1800 psi power washer pressure. 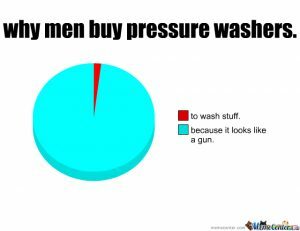 I have one and use it for light duty work. Cedar siding, before and after power washing. Second, using a good cleaner BEFORE power washing to remove and brighten the siding will make the job easier with less power washing. 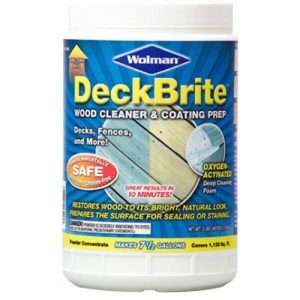 Rust-Oleum 16003 3-Pound Jar Wolman Deckbrite Wood Cleaner and Coating Prep – (From Amazon) is a typical deck wash. Avoid harsher bleaches. Power washing after you put this on will make your siding look new. 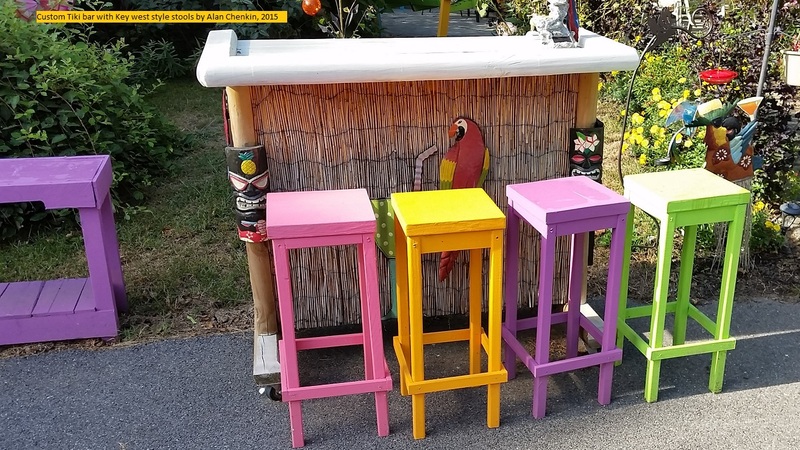 You can put it on with a soft dip brush and extension pole (to make sure you get it into the grooves and dirty spots, or use a pump type Garden Sprayer. Wood cleaners remove the oxidation and mold from cedar siding prior to power washing. After the Siding is clean, consider sealing it or staining it to slow down the aging process and prevent the cedar from drying out. Age and cleaning will dry the cedar, removing it’s adhesion a d resistance to wear and aging. It will also keep the siding clean and attractive longer. Cedar siding is one of the best natural siding materials for your home. It is attractive and resistant to pests and weather. Keeping it maintained is a very smart investment for your home! Is carpentry and woodworking a good hobby to start? Do you believe Ikea makes quality furniture? What tools do I need to turn a small log (10in/ 25cm diameter) into 1/4″/6.5mm thick boards? What type of tape won’t rip the paint off walls? Is there such a thing? Where can I get exotic wood and wood slabs? Can I apply tung oil on a piece of wood which has been stained with water-based dye? Would this saw become your favorite tool? Tips for keeping Sawdust and woodchips from getting all over your garage workshop! Can you change a straight edge to a rounded or bullnose edge on a stone countertop after installation? Carpentry is both a hobby and a profession; here is how you can get started! Discover How You Can Access 1000's of Woodworking Plans and Project Ideas + New Software Apps to Quickly Ramp Up Your Woodworking Skills - Click Here!